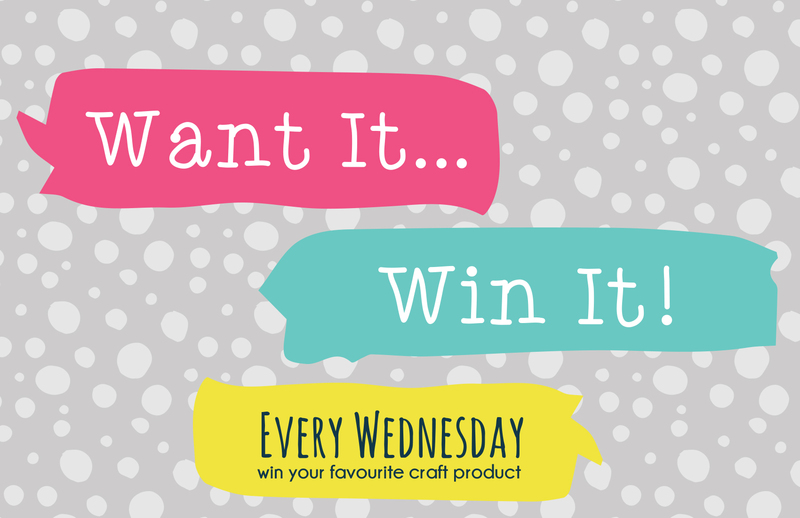 Our Want it Win it giveaway gives you the chance to pick a crafty prize you’d love to have! Whether it’s a brand new product or an old love crafting item, you can choose anything! What will you pick? All you need to do is LOG IN and fill out the fields below. Write in the TEXT BOX which Trimcraft goody you would love to win and then you can submit! Only UK & EUROPE residents can enter this giveaway. If we could choose, we’d pick these super sweet Mini Envelopes from the Dovecraft Make a Wish collection! Commenting on this post WILL NOT enter you in to our giveaway, you have to fill out the fields shown below. Once you submit your choice of prize, you will not be able to see your form but it will have been sent to us so you can sit back and relax until tomorrow when we reveal who the lucky winner is! This competition closes at 11.59pm tonight! Terms and conditions. All entries must be received by 12pm on the competition closing date and is open to all UK residents aged 16 or over, excluding employees or agents of the associated companies and their families. Only one entry per household. Prize contents are subject to change. No cash alternative. One prize will be given away to a member drawn at random on the closing date. Registration via www.trimcraft.co.uk is a pre-requisite to entry. Registration is free. No purchase necessary. The decision of the judge is final and no correspondence will be entered into. The winner will be notified by email. The winner’s name and website username will be available by sending a SAE marked Trimcraft Competition to Claire Brudenell, Trimcraft, Bishop House, Abbeyfield Court, Abbeyfield Road, Nottingham, NG7 2SZ, UK. Your details will be processed by Trimcraft (Nottingham) Ltd in accordance with data protection legislation. This competition has now closed. To see the latest competitons, take a look at our competitions page. To enter the competition and be in with a chance of winning, please register or log in to your account. Thanks soooo very much for the chance to win here every week. Thank you again for the chance to win a lovely prize. An 8 x 8 mariposa pad would be lovely please.